A Friday Poem from Jericho Brown. A poem from Jericho Brown's brand new collection The New Testament, a meditation on race, sexuality and contemporary American society. At my door like wind in an early winter. As we sat in silence so thin I had to hum. Watch over my life in the cold and never ever sleep. 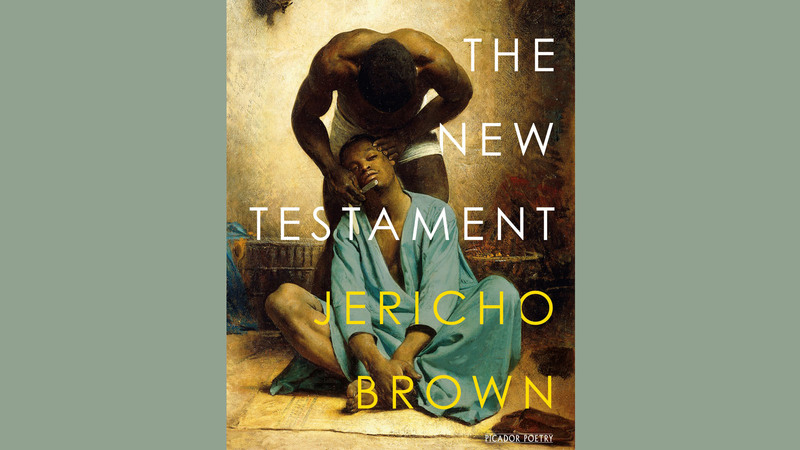 Jericho Brown’s The New Testament is a devastating meditation on race, sexuality and contemporary American society by one of the most important new voices in US poetry. In poems of immense clarity, lyricism and skill, Brown shows us a world where disease runs through the body, violence runs through the neighbourhood, and trauma runs through generations. Here Brown makes brilliant and subversive use of Bible stories to address the gay experience from both a personal and a political perspective. By refusing to sacrifice nuance, no matter how charged and urgent his subject, Brown is one of the handful of contemporary poets who have found a speech adequate to the complex times in which we live, and a way to express an equivocal hope for the future.